Researching at The National Archives (NARA) in Washington, DC. 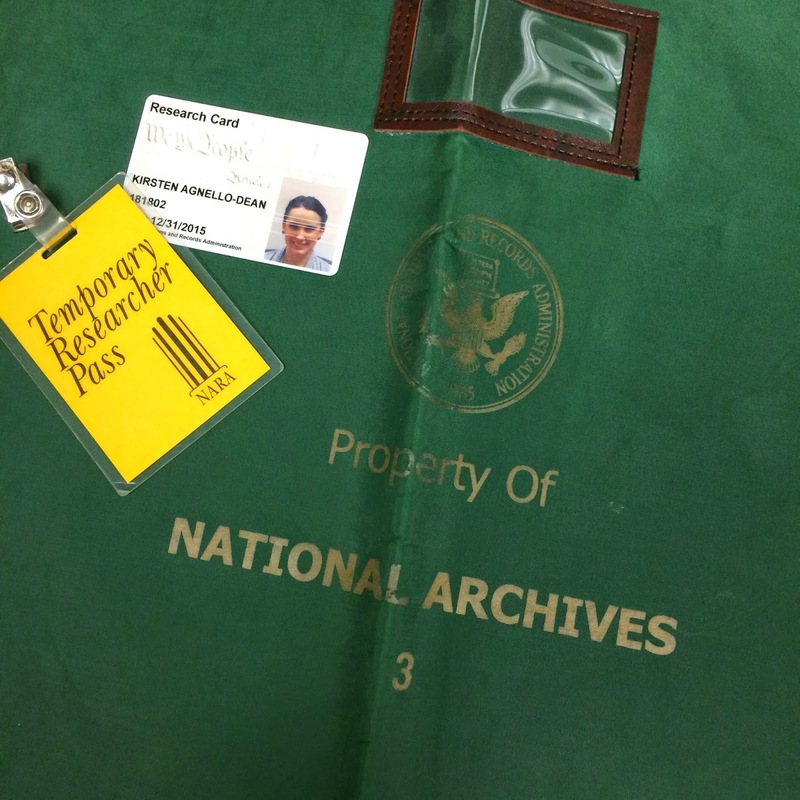 Humble Brag: My very first genealogical research experience was at the National Archives and Records Administration (NARA) in Washington, DC. How cool is that? 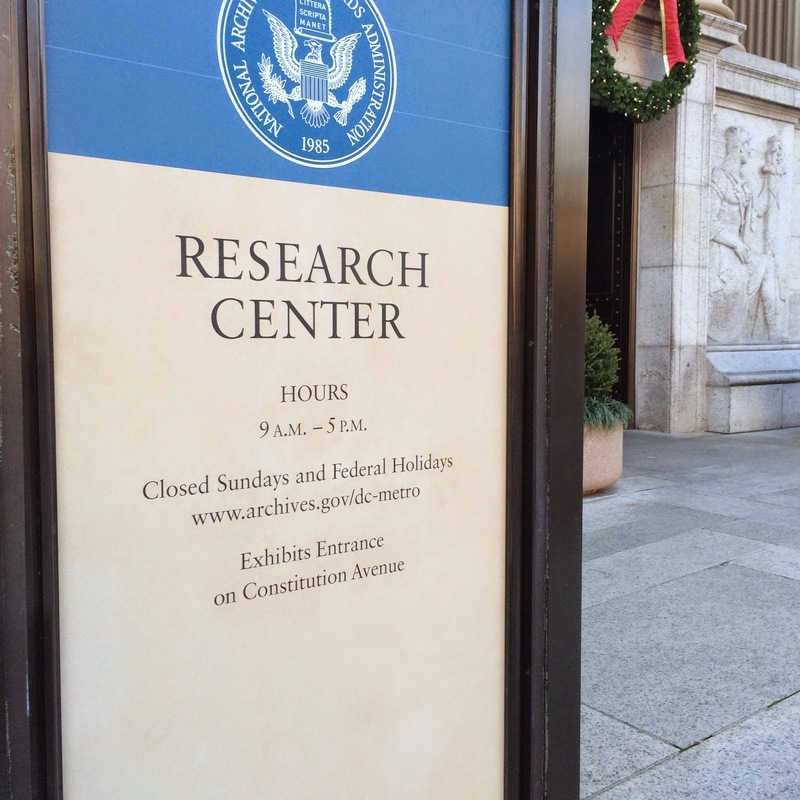 I was in DC for a quick trip but decided to stop by and check out the gift shop for a certain genealogist I know. After viewing the Magna Carta, since I was there, I popped into the Research Library side and called Brenda Leyndyke to she if I could get her anything. An excited mom-genealogist said YES. So I was texted the details and my mission was simple: Find the Civil War Compiled Military Service Record for my Great Great Great Grandfather, Samuel S. Glover Jr. The research library is vast, impressive, and full of very helpful people. Once you go through security and sign in with I.D. to get your Temporary Researcher Pass (top right), you need to register for a Research Card. Next, you go through a power point presentation, fill out some info, and then get your picture taken for your free swipe card (this card allows you into the research rooms and can be loaded with money for the copier). Once you have that done it's time to check the computer in the Consultations Room to see if they have the records you're looking for. A very nice gentleman helped me search and shared a great tip: When searching for Samuel Stillman Glover, nothing came up. The research assistant pointed out that if it wasn't entered in that way it wouldn't appear, so searching for Samuel Glover only (middle name omitted) worked and found two records: service and pension. I filled out the slip and popped it in the box to have the records pulled. Files at the archives are pulled only a few times a day. Since it was a quiet day, I only had to wait about a half hour after the 3:00 pull for my records to come up to the Central Research Room on the 2nd floor. There are a LOT of rules for this room: No pens, pencils are discouraged, no food or beverage...only laptops and cameras, etc. are allowed. You may not bring coats or bags in (lockers are available) and they discourage you from bringing your own papers in. I headed inside, my wallet barely passing for being potentially "too large," and went to the Military Records Room. Once your records are pulled, you can sign them out one at a time for researching and photocopying. Research Tip: There are scanners available if you bring your own computer, or you can photocopy directly to USB, if you brought one, from the copier (after getting permission to copy the records you received, of course). 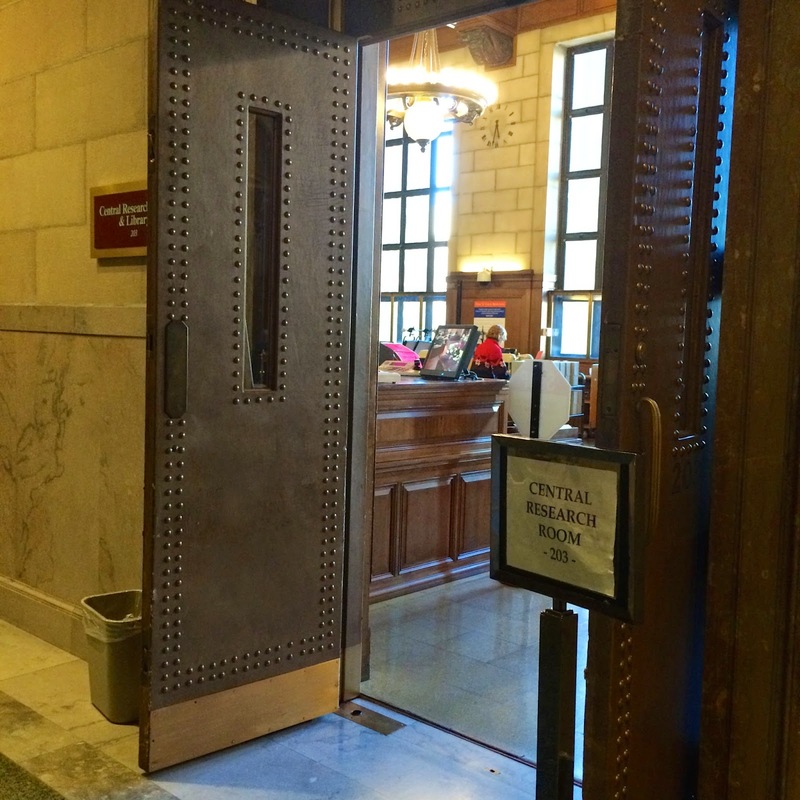 It was only after I opened the military service record envelope in this quiet, genealogist filled room that I realized what was so cool about genealogy...here I was in 2014, touching actual papers of someone I was related to that were over 150 years old. It was very much like the cheesy scenes in Who Do You Think You Are. A giant red DEAD stamp on a cotton canvas piece of paper literally had me whispering "wow" out loud. I snapped 55 photos and made 2 dozen copies then headed out. Once you finish, your copies are searched and locked in green "Property of National Archives" canvas bag by security. Intense, but as my Mother put it, "I don't want anyone stealing my ancestors records." Once you're finished for the day, the security guard at the main entrance unlocks the bag and you can take your papers. It was an amazing experience. I secretly wish I had had more time to research things. You can have records pulled and copies mailed to you for a fee, if you don't happen to have a daughter in Washington, DC, but I highly recommend an in-person visit. 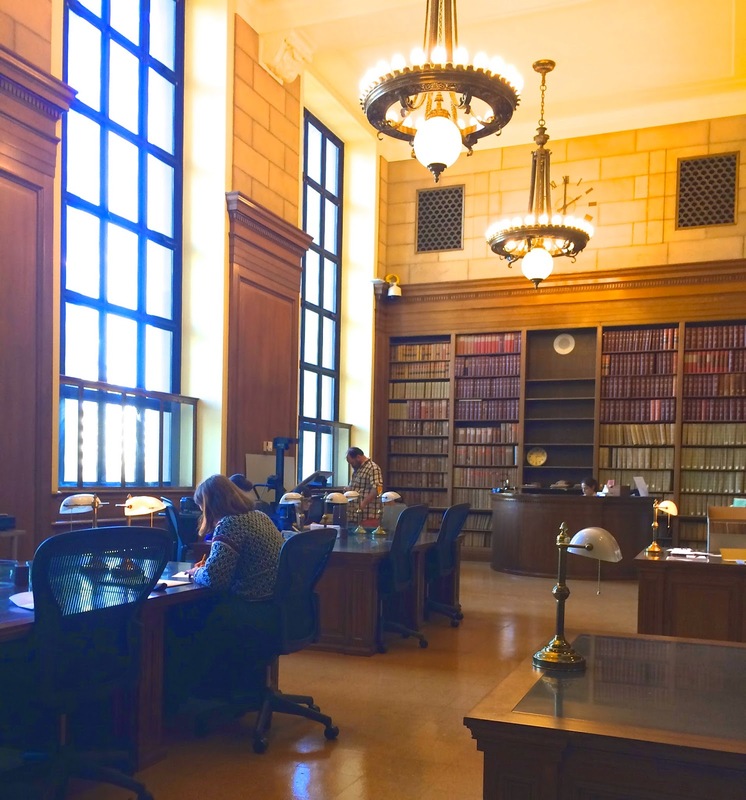 Want to learn more about researching at the NARA? Check out the Archives Information for Genealogists section. See more photos of my visit on my personal blog here. Imagine how I felt getting this phone call. 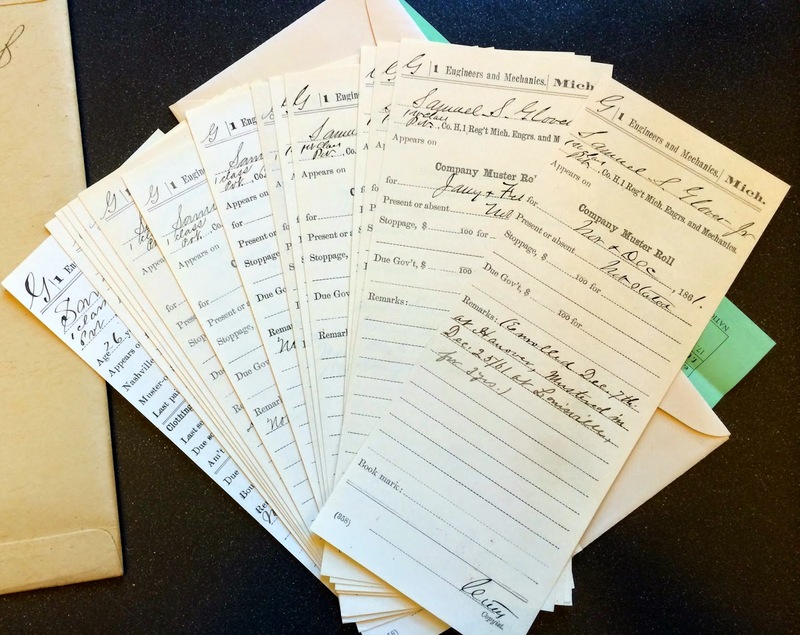 It was a genealogist and mom's dream come true. First, I was so excited that I could give Kirsten a couple of records to look up. Although in the excitement I had to calm down and think about what I needed. This was one time I wish I had a prepared list of research for NARA to consult. Secondly, my daughter was kind enough to call me and volunteer to do research on her vacation! It was something I was not going to say no to. Thank you, Kirsten. You are a kind and generous daughter. One who makes her mother proud every day. 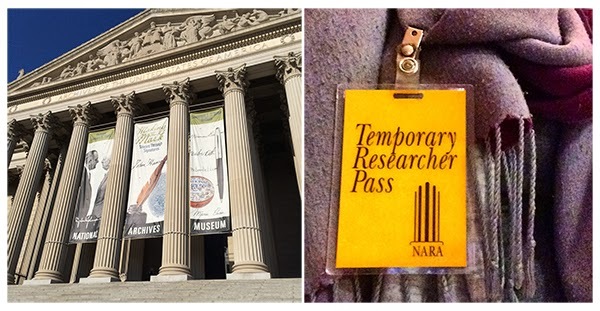 Thank you for sharing your NARA research experience with my readers. I may make a genealogist out of you yet.